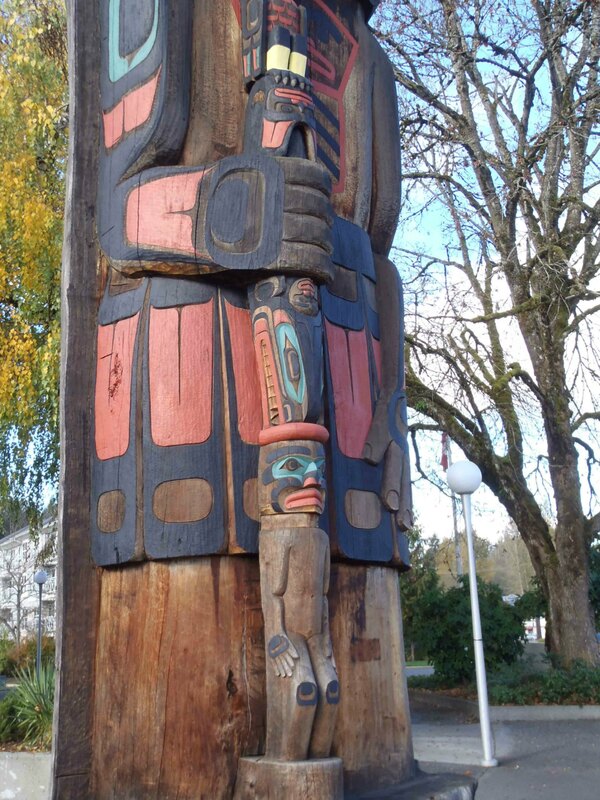 The original tree was over 750 years old when forestry company MacMillan Bloedel donated it to the City of Duncan. The indent on the back indicates that planks were removed to make First Nations houses. 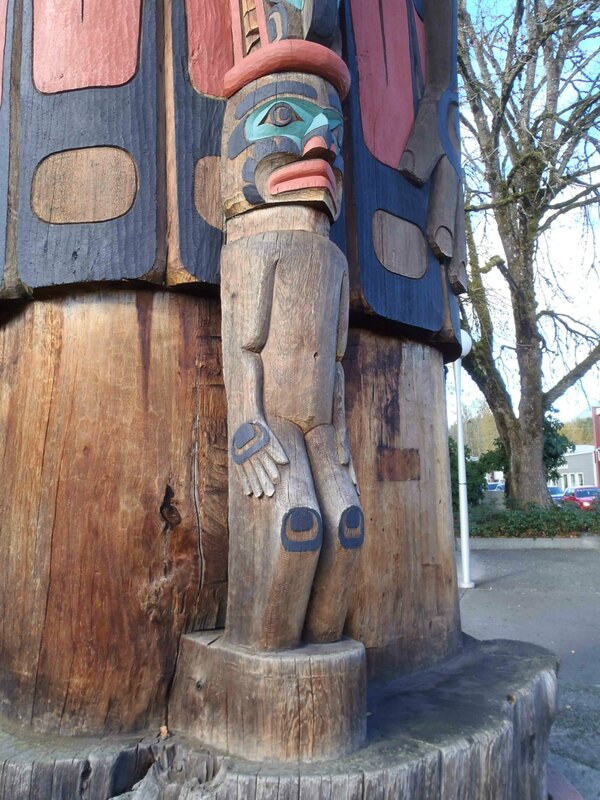 Cedar Man Walking Out of the Log, totem pole, Duncan, B.C. 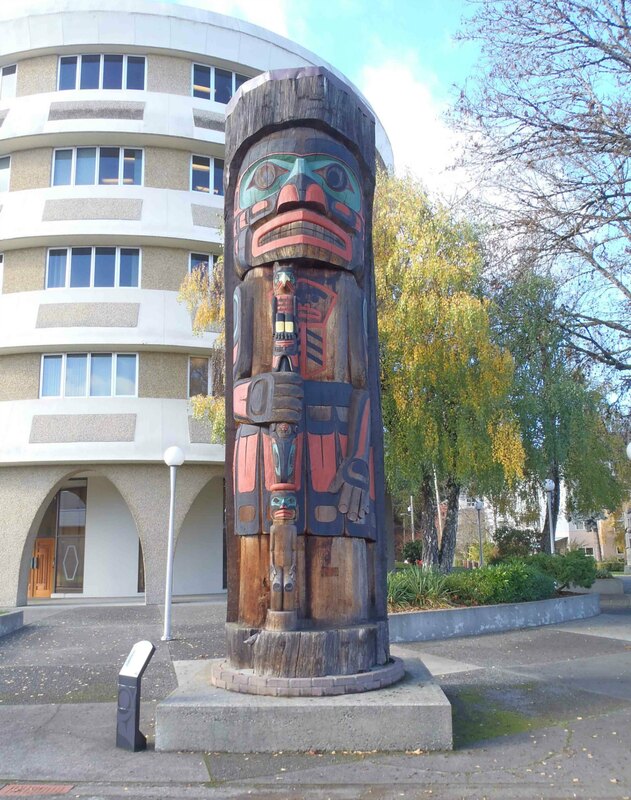 Cedar Man Walking Out of the Log, totem pole, man figure, Duncan, B.C. 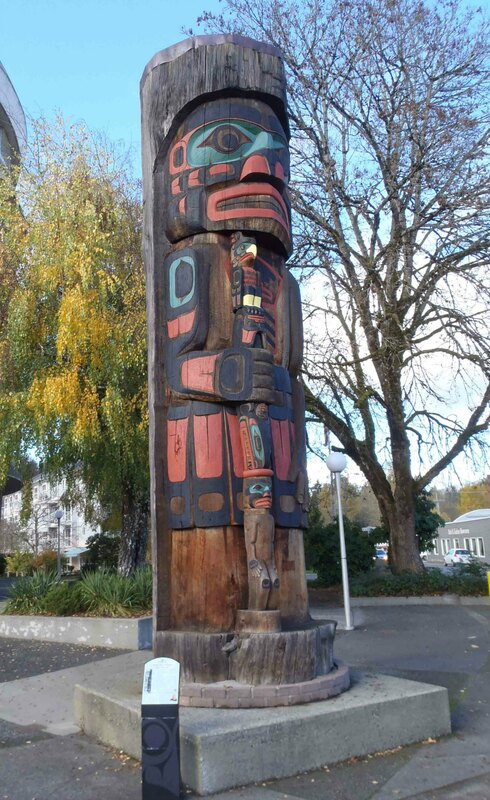 The man figure on the pole represents a Kwagu’l family member.